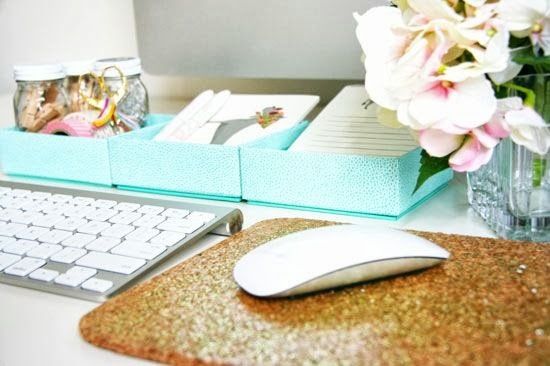 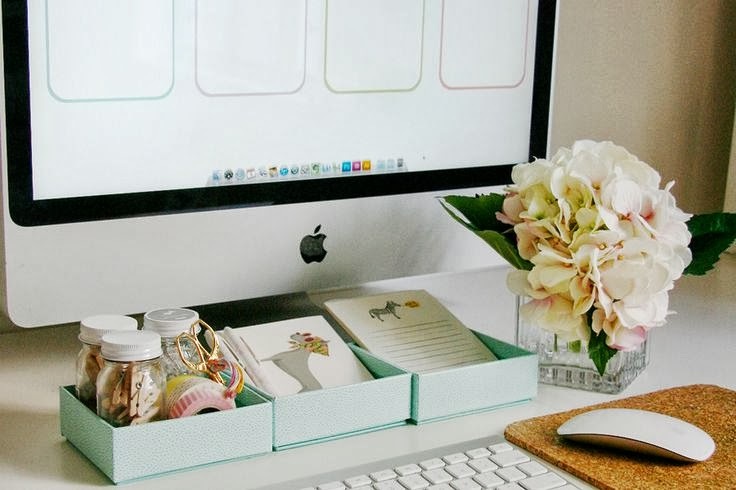 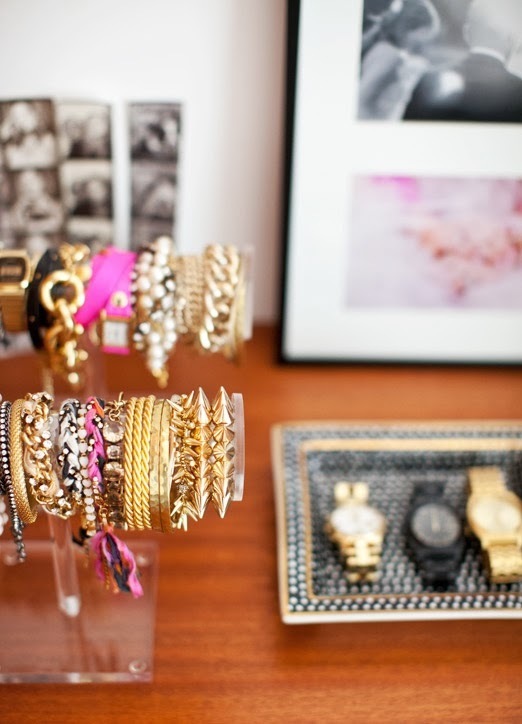 I am not ashamed to admit that I am easily distracted by pretty things and to me nothing is more pretty than an organized space using chic everyday items to keep things neat and tidy. This morning I was doing "research" for a blog post and ended up getting sidetracked and pinned every closet, organized desktop and vanity that could be found on Pinterest. Needless to say I also got distracted from actually posting on the blog as well. 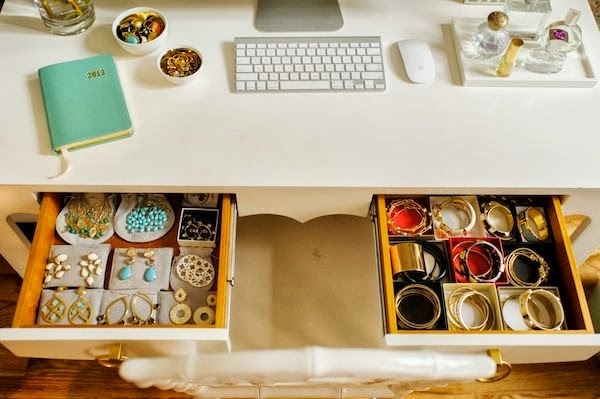 Don't be embarrassed to organize your pretty things so that the public can see them and don't limit your storage options either. 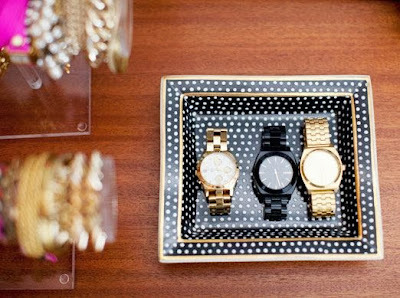 Use traditional storage methods along with pretty alternatives such as trays or bowls to organize and display your items.